-Switch that transforms Fourze into Cosmic States. Transforms Fourze into a movie special form, like Rocket States, called "Drill States". Likely debuts in the Super Hero Taisen film. Picture of Battle Ganbaride 04, Super Hero Taisen. 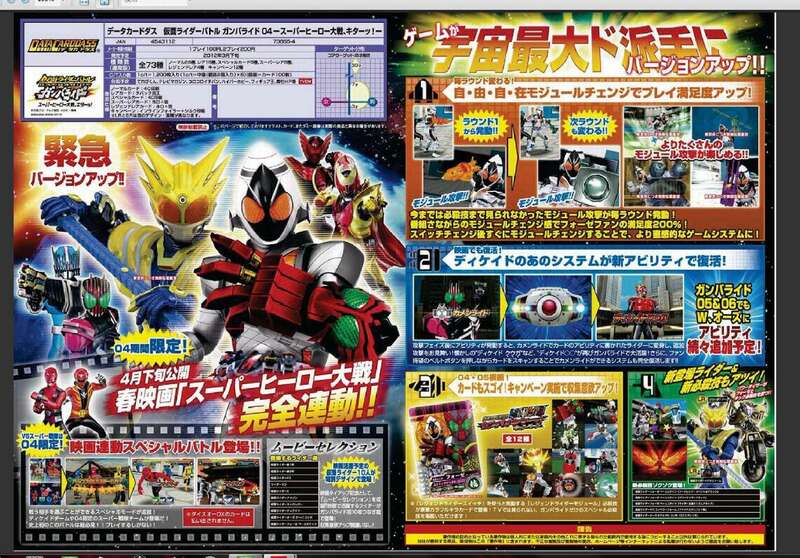 Apparently, there will be sentai cards you can use to fight rider cards. 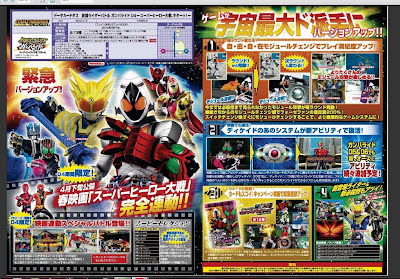 Also picture prominently is Kamen Rider Meteor Storm, which confirms the above toy listings.